Source: (Chinese transl.) Lindqvist, Cecelia. Qin (ZH-TW title Guqin de Gushi). Owl Publishing House (in agreement with Albert Bonniers Forlag), Taipei. (C) 2006,2009. Translations below by the commentator (Juni Yeung). 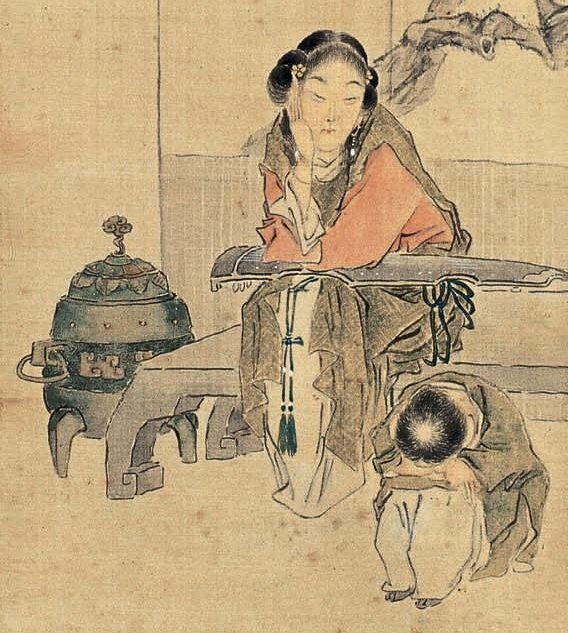 p.42 (on learning Chunxiao Yin): “A piece of cake, a thought, since I have played the harpsichord for over twenty years, and the twin-stringed lute for another six. 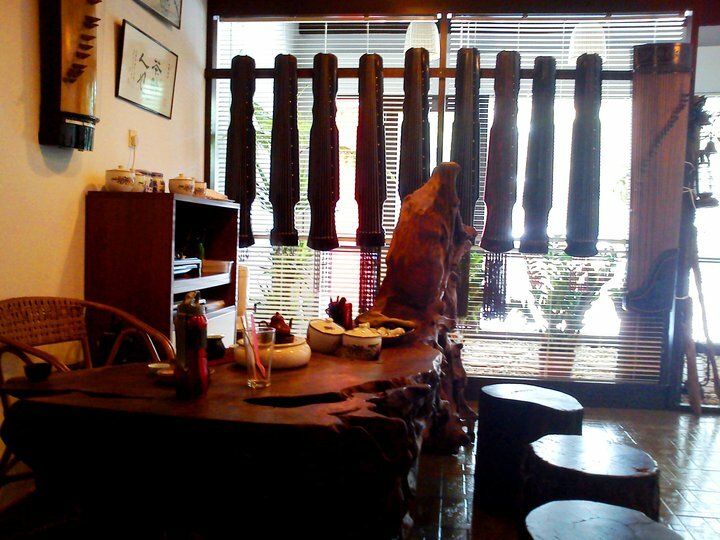 But the reality was quite different – Every note on the guqin must be played unto perfection – many of the sounds are harmonics, with the right fingernail having to quickly brush by the strings to let it vibrate, while letting the left hand slightly touch the string and let the harmonics slide out from the stopped vibrations. Learning harmonics and having them pronounce correctly seem to be the relish of many qin players’ anecdotes, as they are perhaps the most difficult technique to grasp. However, for me, it’d be mastering expression on the pressed strings – for while Heaven lasts long and Earth abides (cf. Laozi), the “sound of Mankind” is still the most intricate and manifesting. Oh the diversity! Being a human is not easy – especially when compared to the functions of Heaven and Earth and its capabilities. 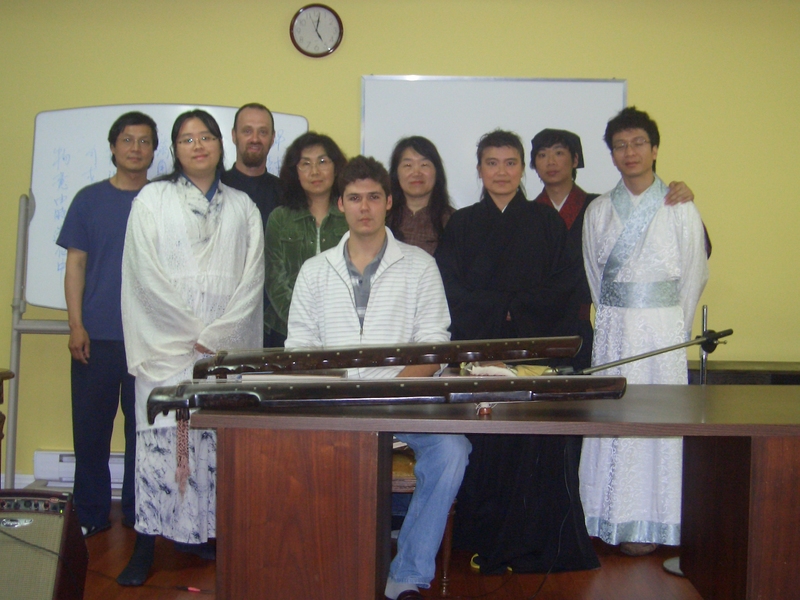 “When we later finally began playing sections from some guqin pieces, I felt a big sigh of relief. But, learning progress is indescribably slow. We felt our way ahead, and after a few weeks, I asked Wang Di if I can have a few scales or excercises to bring home to practice. She didn’t get me – this isn’t just because of my stuttering Chinese. I tried to explain: Chords, scales, practice etudes, majors and minors, the whole gamut, practicing all my fingers! Just like learning to play the piano. She looked at me in shock – how could you do this to an instrument? Do you really do this in your country? Do you not respect your musical instruments? I thought that was probably the first time I truly understood the reputation of the qin in Chinese culture. The irony is, beginning with Shen Caonong’s “Guqin for Children”, and later in Li Xiangting and Gong Yi’s books, these “training exercises” did become a reality. Coupled with mass-classes (as opposed to the one-on-one tutelage as Lindqvist received), the spirit of the qin is all but romantic pursuit by the young students of this generation. Not to say that this method doesn’t exist anymore, but “industrialized” qin pedagogy leaves the “product” (the hoards of middle-class children and teenagers) half-baked and out in the cold, to their own devices to seek for traces of the traditional spirit and romance among peer circles and online (itself a cold, harsh, and dirty place). This is why I never bothered with “practice lines” in Standards of the Guqin, and said that the closest thing to “technical exercises” is in tuning the instrument itself. If one wishes to improve on basic technique, we’ve got Xianweng Cao and other fun little vignettes designed for building technique, while not being a total bore with mechanical repetitions of the same movement for a bajillion times. 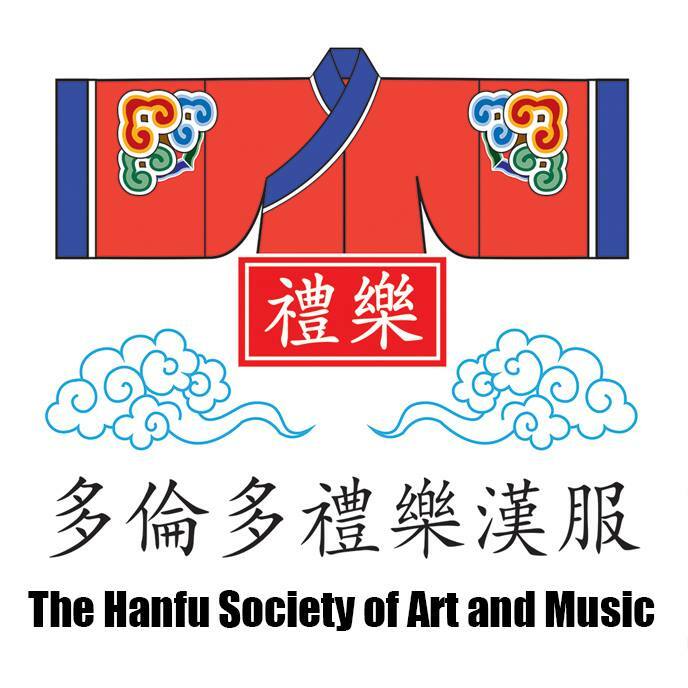 “The most enticing of guqin pieces, such as Meihua Sannong (Three Variations of the Plum Blossoms), I thought they were vivid and simple, so I didn’t spend much time practicing them. Asides from that, I actually heard Wang Di and Guan Pinghu play pieces I appreciate even more, such as Pingsha Luoyan, Ao Ai, Boya Diao Ziqi, and Hujia Shiba Pai. Wang Di thought they were too hard for me. I attempted to explain my understanding of European Baroque music to her: Gregorian Chants, Palestrina, Monteverdi, Dowland’s “Tears” and those classic pieces considered the pinnacle of Middle Ages lute repertoire – not to mention J.S. 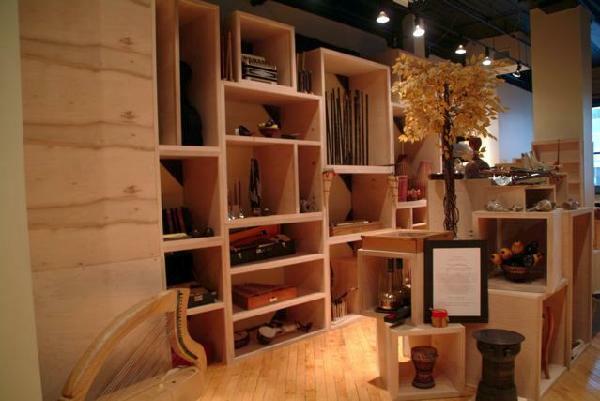 Bach’s Unaccompanied Viol suites. 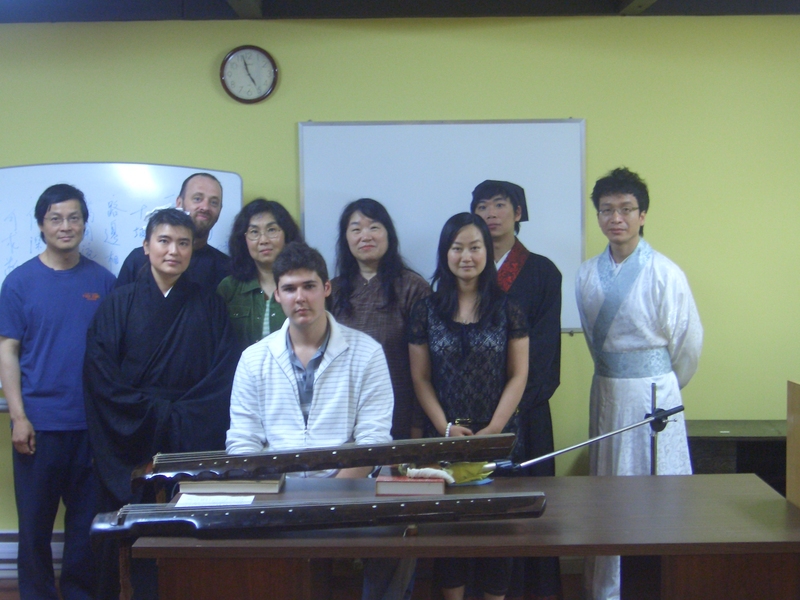 They are quite different from guqin music, but have many similarities. I said that I was no novice, and talked about those beautiful music. I had a friend from Sweden bring me a tape recording to let her get my point. 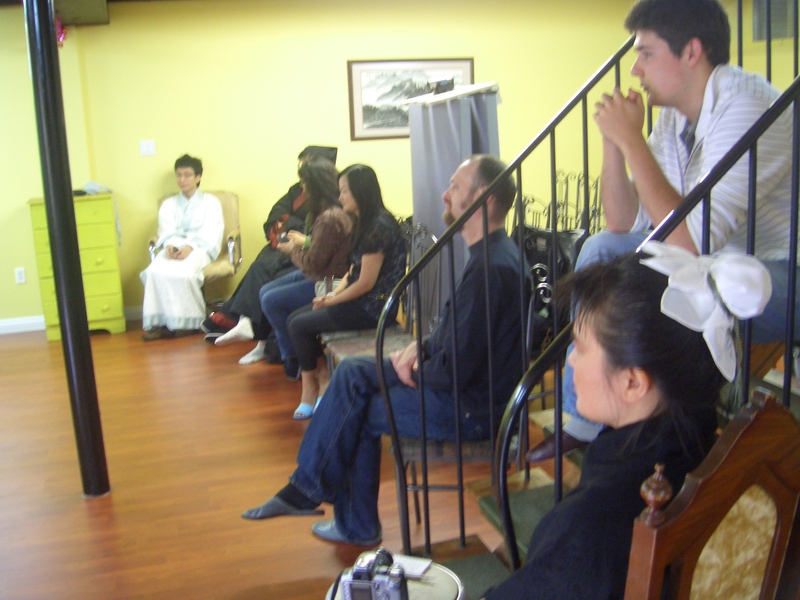 We also imported a huge Grundig tape recorder from Hong Kong to listen to it. 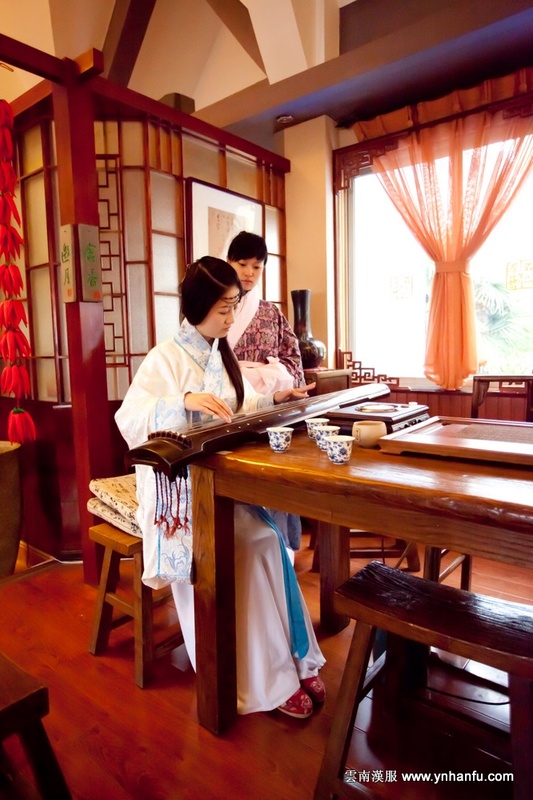 Pingsha Luoyan is now an intermediate-level piece according to the guqin examination repertoire from 2006 and again confirmed in 2010, while Meihua and other pieces she mentioned lay much higher – again, because on a technical aspect, the latter pieces are indeed more challenging. However, how does an ‘industrialized’ qin tutelage quantitatively measure their clients’ progress on ‘spiritual development’? That is, if a piece like Pingsha is used as a standard measure of ‘transcendent behaviour’. 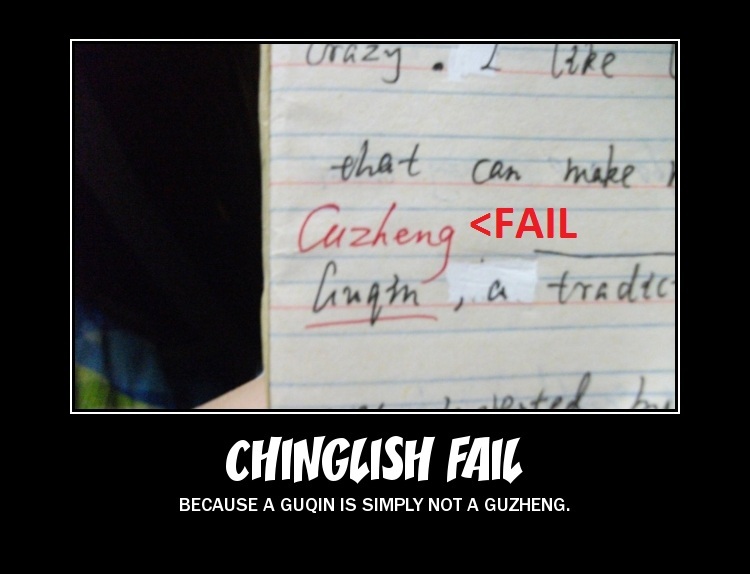 This is why I list “Pingsha Luoyan” in my advanced tutorials, not intermediate. So far, I haven’t really “taught” anyone it, for no student hath reached thus far, and I myself am reluctant to play it, questioning myself whether I am really at that level. 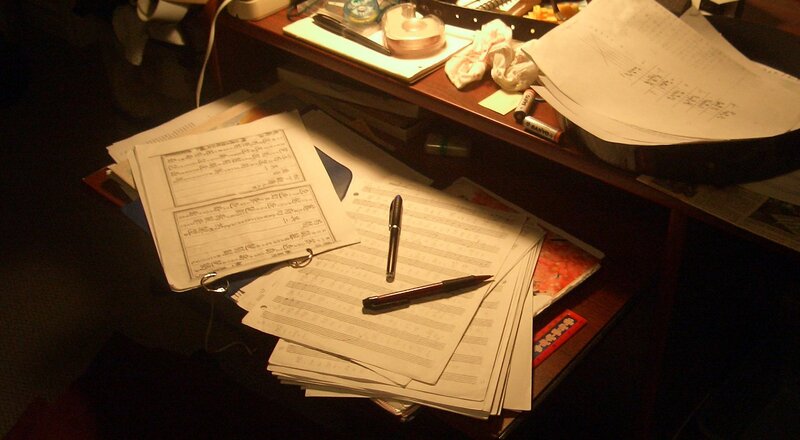 The hellish mess that comprises of a musician's nightmares unto daybreak. Back in sometime early 2008, Charlie Xu and I were invited by Christopher Evans on the Facebook Guqin group to dapu a “lone version piece” – a guqin melody by the name of “Under the Pines, Watching the Waves” (Songxia Guantao), which “onlyexists in the manuscript Yanlulou Qinpu, published in 1766.” Albeit nine sections long, Christopher believed it would be an easily manageable and hoped that it would be fully interpreted in half a year and could get underway practicing soon. My sincere apologies for promising that so quickly. Exactly one year About 368.5 days after the question was asked, the dapu is complete. Most of the time was spent happily (or frustratingly) procrastinating on other things like starting this blog, Mabinogi, homework essays, and relatively futile articles on other topics that nearly made its way into an academic journal, but didn’t on grounds of pathetic office politics and email squabbles. In the coming sections, I will be giving a full detailed report on the identifying and explaining the process and challenges of dapu, and give a reasoning to my musical interpretation and analysis in this 18th-Century score. For those who just want the score to download and play, it is available for download in five links after you click below. 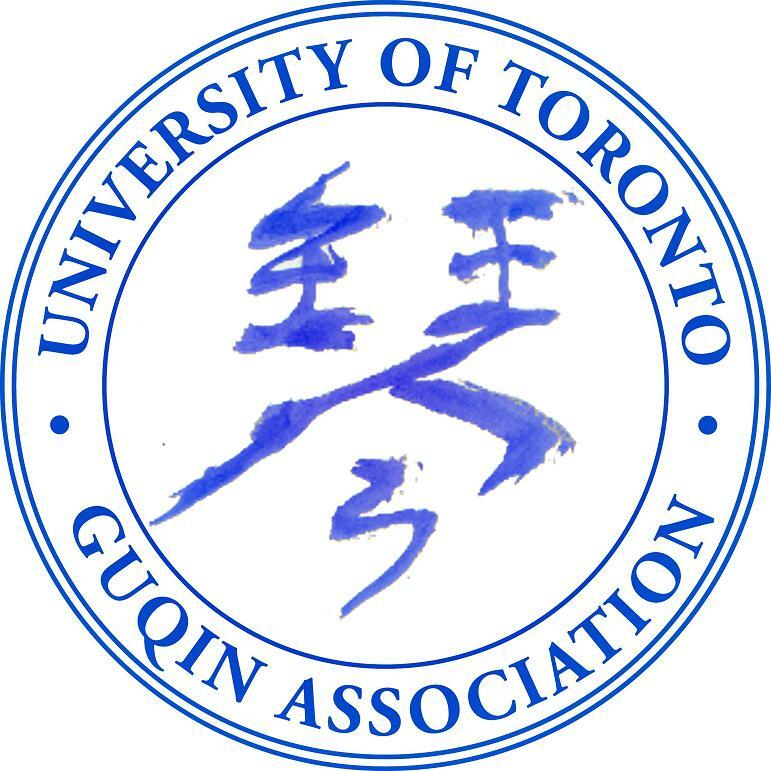 University of Toronto Guqin Association (UTQA) - The first name of TorGuqin, est.2005.